This entry was posted on Wednesday, July 21st, 2010 at 6:43 pm	and is filed under RMAN Backup and Recovery. You can follow any responses to this entry through the RSS 2.0 feed. You can leave a response, or trackback from your own site. As usual, nice article, nice explanation. I have read the article and saw it understandable and easy to apply. Thanks for this post. I have been following your posts one by one. Its gainning more confidence in me and techinically more strong. I would like to purchase your book. 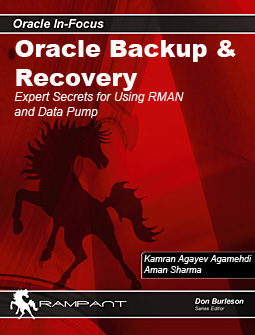 Has your book on RMAN – “My Book – Expert secrets for using RMAN and Data Pump” been released. I want to procure it. I am a Oracle 9i Certified Associate – DBA. Now I am approaching OCP in 9i. 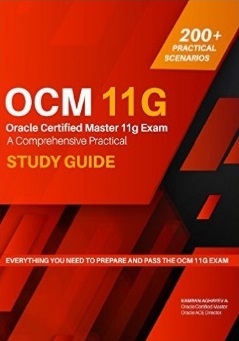 Then I have planned to take OCPs in 10g & 11g. I trust that your book will be very useful to me in all aspects. 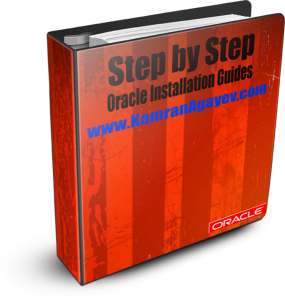 Can you also give me collections of Questions & Answers on Interview point of view for Oracle DBA? Thanks. Looking forward for that book. Aşağıdaki komuttaki fl_archive yerine fl_arch olması gerekiyor. i need to know that can we use multiple data archives having different retention period on same table. Like table A has 2 flashback data archives fda1 and fda2 ,fda1 has retention period of 3 months while fda2 has retention period of 4 months and they both correspond to same table A.is that possible? Thanks for this post. I have been following your posts one by one. As a learner i am gaining excellent knowledge.Few days back i have seen your blog regarding flashback archive concept, its very nice and it was in simple way to understand.Once again thanks for your posts.